The approximately 120 m2 large apartment in the attic of a house in the center of Ratzeburg has a wonderful view of the Ratzeburg Domsee. Parking at the house available. All shops, banks, museums, churches, marketplace and the cathedral are within a six-minute walk. Very spacious living room with magnificent views to the east, sleeping area (double bed, suitable for senior citizens), single bed (suitable for senior citizens); Bathroom (toilet, shower, washing machine incl. Dryer); spacious kitchen with all necessary machinery, crockery and cutlery. Dishwasher. Specials: no TV / radio. Tobacco pleasure allowed of course. Cozy reading corner. Several typewriters. Lectern. Installation of an in-house telex network is in progress. Buchcafe with about 4,000 books in the house, free use. Adventure corner for children (by arrangement). Participation in the bookbinding life in Buchbinderey in the house. 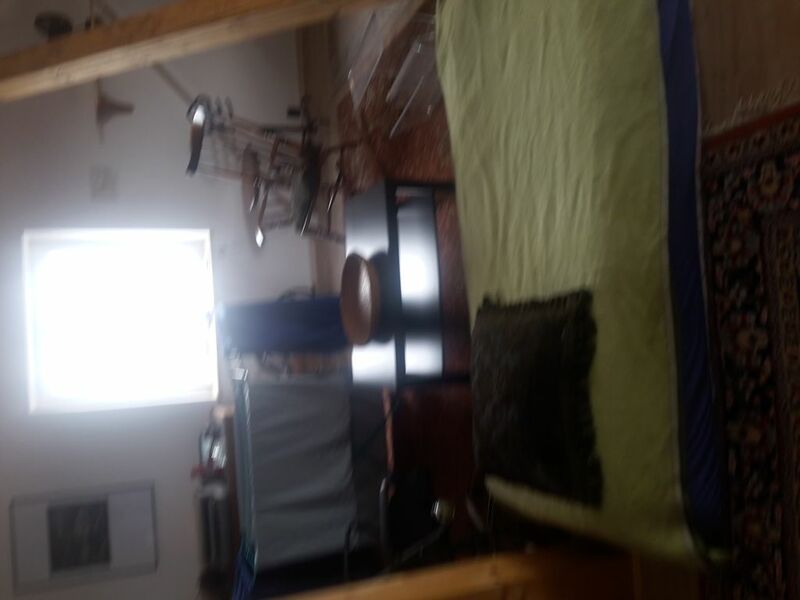 Loft with mattress storage (for larger groups up to 12 people possible). Costs (incl. Final cleaning, utilities, energy costs) up to 3 persons per night or a whole family 60,00 €; Group rate on request. Agreement with J. Jacobsen, Telefon 04541 - 805 99 93 or 85 79 85 or mail to "tuglas @ aol. com "or (even better) a postcard to J. Jacobsen, Brauerstr. 12, 23909 Ratzeburg. Und der Blick ist tatsächlich traumhaft. Die Wohnung hat eine super Lage mitten in der Stadt. Der Ausblick ist der Hammer! Der Vermieter ist sehr nett und hilfsbereit.Preis/Leistung passt. Die Einrichtung ist zusammengewürfelt, aber gemütlich und es fehlt an nichts. Ich kann die Wohnung weiterempfehlen.